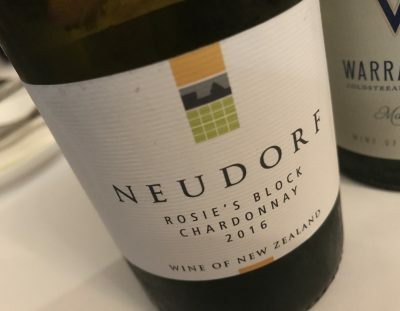 Another great release under this label from Nelson’s Neudorf. Handpicked, whole bunch pressed, wild ferment in barrel, 10 months on full lees in barrel. It’s a nutty and rich style that is homely but so perfectly balanced. It’s quite creamy and mealy at first, but then the brisk and grapefruity finish is a great counterpoint to the almost caramel yeasty richness. Lovely old school style weight to this but the finish is tight and fresh, maybe even leaner than the 2015. Yum. Price is very fair too. Best drinking: 2017-2022. 18/20, 93/100. $35. Would I buy it? Sure would.